After taking photos of Z80-compatible CPU's from DDR and USSR we finally got the original Zilog's Z80. 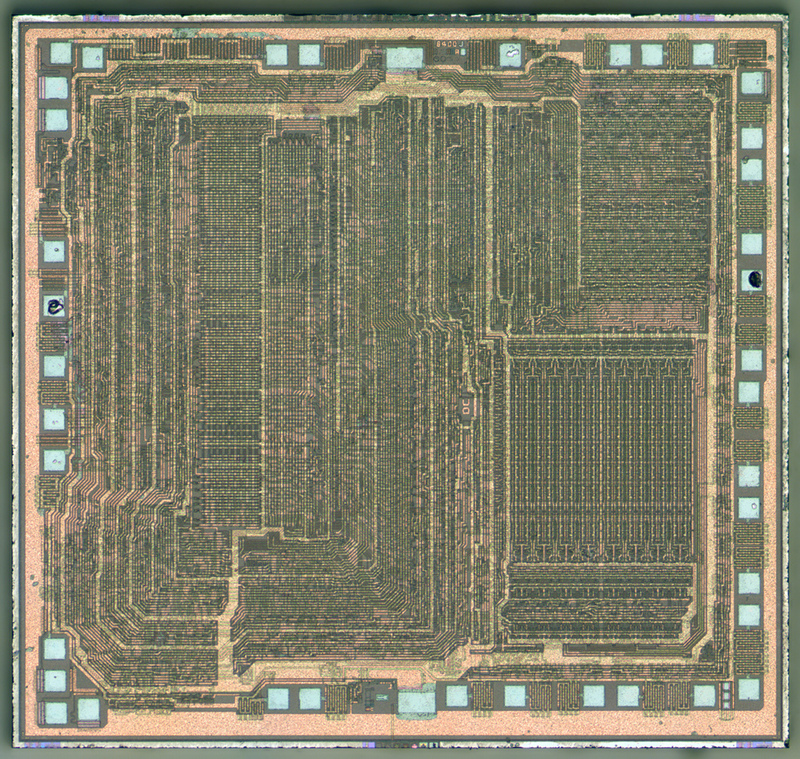 This chip had datecode 9012. If you compare the dies of original Z80 and DDR/USSR ones - you can see that original Z80 has much denser peripherals layout. Also, in the middle of the die there is a word "DC", while on compatible processors there is just a blank space at the same place. Die size 3545x3350 µm. It's area is 1.6 times smaller than T34VM1.